The Aputure DEC Vari-ND EF to MFT-Mount Adapter allows you to attach Canon EF/EF-S mount lenses to MFT-mount cameras and remotely control focus, aperture, A-B focus points, and 9 stops of ND (ND8 - ND2048). 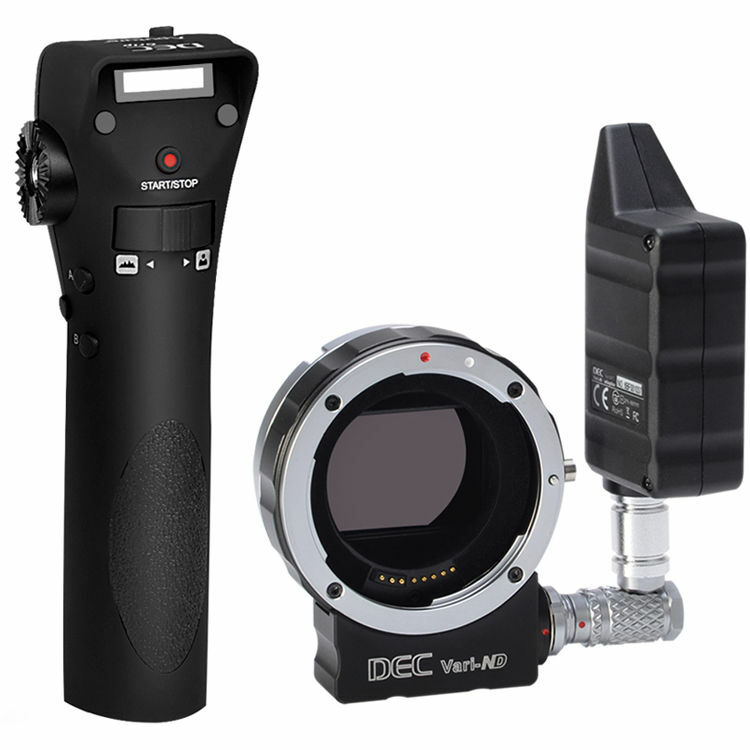 The DEC Vari-ND has all the features of the original Aputure DEC adapters, and adds a built-in electronic liquid crystal variable ND filter. In addition to reducing the amount of light for longer exposures, it lets you achieve motion blur under bright light with the iris wide open, and provides enhanced control over depth of field. Box Dimensions (LxWxH) 11.3 x 9.7 x 5.1"
So, there is no focal reduction like on the DEC LensRegain (0.75x Focal Length Reducing Optics), just ND? You are correct, there is no affect on the apparent focal length with this device. is there a cyan tint on high ND (512-2048) ? The only reference to magenta with the DEC Vari-ND states that Aputure has figured out how to avoid it. We could not find any other reports regarding a magenta issue and this device. Is the change between different strengths of ND smooth - like an iris pull on a de-clicked cine lens? Or in steps - like changing iris on a stills lens? Our understanding is the transition is smooth. Aputure only lists this as being compatible with Canon lenses, but has anyone had any luck getting the remote focusing to work with third-party EF-lens makers such as Sigma?